Wow Tbilisi... you have it all. From world class techno clubs to leafy botanical gardens, this is a city of many contrasts and one that should be on the top of your 'to visit' list. Traditional Georgian architecture and soviet tower blocks sprawl the hillsides, making way for all things new. The youths are fighting for progression, for a more liberal capital where openness and freedom are the norm, through a developing arts scene and growing club culture. It's an exciting time to be in Tbilisi, perhaps it's the new Berlin. Normally markets are packed with new cheap merchandise that’s probably going to fall apart by the time you take it home, but that’s not the case at the dry bridge flea market. Every day locals neatly lay out their second hand knick-knacks on rickety tables, rugs on the ground and even on car bonnets, in the hope that a passer by is going to buy that random item they didn’t even know they were looking for. You can find all sorts of vintage things here from chandeliers to old music boxes, and soviet memorabilia to woodworkers tools. It’s not just what’s on sale that’s interesting here, most of the sellers are as old as the products they are flogging and it’s nice to see them going about their daily business, reading the newspaper and eating salami sandwiches as they sit by their stalls. There is a nice open section on the river bank to the west of the bridge which specialises in original artworks by local artists. The market can be found on dry bridge (and the streets around it) and is better on weekends. It’s free to visit and nothing is priced so haggle down. This sleek bridge is one of the most striking structures in Tbilisi, as it elegantly floats over the Mtkvari river. Pedestrians are invited to cross Peace Bridge by foot and experience the beautiful curving steel and glass structure, which appears to flow overhead like a wave from low to high, and low again. It was designed in 2010 by Italian architect Michele De Lucchi and adds to a growing number of modern buildings in the historic capital. The linear structure resembles a 3D perspective drawing and it’s perfect symmetry makes for a great photo. You can also get a great side view from the bridge to the south of it. The Bridge of Peace is free to experience and is open at all hours of the day, at nighttime it is illuminated. Set over 4 floors, this national history museum holds some of the finest examples of ancient Georgian jewellery in the country, dating as far back as 3rd millennium BC. You can expect to see exquisite works of medieval gold and silver, precious stones, coins and ornaments. The top floor of the museum is dedicated to explaining Georgia’s troubled history of Soviet rule and Russia’s persistent interference and invasion. One of our favourite exhibits though was on the evolution of mankind, demonstrating the differences in groups of hominin (early humans) from as far back as 1.7 million years ago. On display is the oldest skull in existence found in Eurasia, and 3D replicas of skulls showing the timeline of physical developments between the groups of people. The exhibition is really well put together and helpfully explains the differences and developments between the hominin, for example what type of food they would have been eating at the time, and how society might have been structured. Entry to the museum is a reasonable 5 gel (£1.50), and is open daily from 10am-6pm except on Mondays. We can’t think of many city gardens as beautiful and unique as this one. Set on the foothills of the Sololaki mountain range, these botanical gardens boast an impressive view of the city below and the ancient Narikala Fortress that stands guard of it. It’s easy to spend a few hours there, wondering the winding roads and woodland paths, soaking up the fresh air and exploring the natural environment. The gardens are sectioned, taking the visitor on a journey of world plants through to high waterfalls. There are lots of places to relax and spend a few hours reading in, or if you are a keen walker then the gardens go back as far as 1km up the steep mountainside. Make sure you take some of the small paths through the woodlands for the most authentic experience, as the roads can sometimes have cars on them. This is the perfect place to bring a picnic, or just escape from the hustle and bustle of city life for a few hours. The gardens are open daily from 9am-6pm and is only 1 gel (30p) entrance fee. If you are looking for an authentic Georgian dining experience then look no further than the unassuming Racha. Located only a block away from Freedom Square, this rough and ready basement eatery serves traditional Georgian cuisine at some of the cheapest prices in town. It looks as though nothing has changed here in the last 30 years; the carpets are worn, the decor is definitely no-thrills, and the staff couldn’t care less whether you were in there or not (actually once we got turned away because they were so ‘busy’). But that all adds to it’s charm. The stern faced waitresses almost make us want to laugh as we a trying to place our order, apparently you aren’t allowed to order only 2 dumplings! Some of the local favourite dishes include Khinkali which are spicy dumplings at 0.7 gel (20p) each (minimal of 5 can be ordered), mtsvadi which are shish kebabs (7 gel / £2.10), and badrijani nigvzit (aubergine with walnut salad) which we didn’t get to try. The highlight however was the Georgian staple khachapuri, the deliciously gooey cheese bread that melts in your mouth (7 gel / £2.10). We could eat that bread all day long! Racha is open 9am-10.30pm daily, and dishes start at 4 gel (£1.20). The menu has been translated into English so you shouldn’t have any problems ordering. At the foot of the Bridge of Peace lies Tbilisi’s most modern gardens, Rike Park. This newly built public space is the perfect hangout by the Mtkvari river, offering visitors relaxing places to nestle amongst well-pruned flower beds and willow trees. The gardens are architecturally landscaped and feature some very considered foliage, no blade of grass is out of place. The benches are made from blocks of cast concrete formed into white geometric shapes which really adds to the modernist feel, and two huge futuristic silver tubes sitting at the north end are yet-to-open buildings. Wonderers can enjoy the many water features that scatter the park along with a couple of open-air cafes and bars. This is a really nice to place to hang out on a sunny day, and if you’re lucky you may get to enjoy an outdoor concert in one of the entertainment areas. The park is free to enter and is open all times of day and night. Founded by graduates of Tbilisi’s culinary academy, Pipes is an industrial-style diner joint not to be missed. They specialise in burgers of course... big, fat, soft, juicy burgers, packed with flavour and melt-in-your-mouth meat. I would say that these are as good as some of London’s best burgers, but still not quite as tasty as our local favourite Stokey Bears (you just can’t beat that sweet bacon jam). We opted for a cheeseburger which was all the usuals... marinated onions, cheddar cheese, tomato, lettuce, bacon, gherkins and spicy homemade mayo, and of course a big beef pattie sandwiched in the middle, cooked medium rare. It is a really naughty treat but so delicious, and two days later Mark was planning his next trip. Each burger comes with fries, so even though the burgers seem a bit pricy, it pretty much works out the same as any other dinner we’d had in Tbilisi. A cheeseburger and fries costs 13.90 gel (£4.20) and then service is added. Pipes is open daily from 11am-11pm. Zurab Tsereteli, one of Georgia’s most successful living artists and sculptors, set up a privately owned gallery in the heart of Tbilisi. The space is beautifully light and airy (as you can imagine for a modern art gallery), and the works are set over three spacious floors. Two of them are dedicated to displaying the life-long work of the artist himself, these are colourful paintings which he created of people in the lower classes, aiming to capture their unique character and mood over huge canvases. The painting are contrasted with oversized metal sculptures of figures, which Tsereteli seems to be most recognised for. On the ground floor, there is a temporary exhibition which presents works from either Georgian or international contemporary artists. Swiss artist Therese Weber was showing when we visited, her artworks constructed mostly from paper pulp in an abstract way. Overall the gallery is a bit of a one man show, but for entry as little as 2 gel (60p), it’s worth looking at some of the artworks of one of Georgia’s most famous artists. 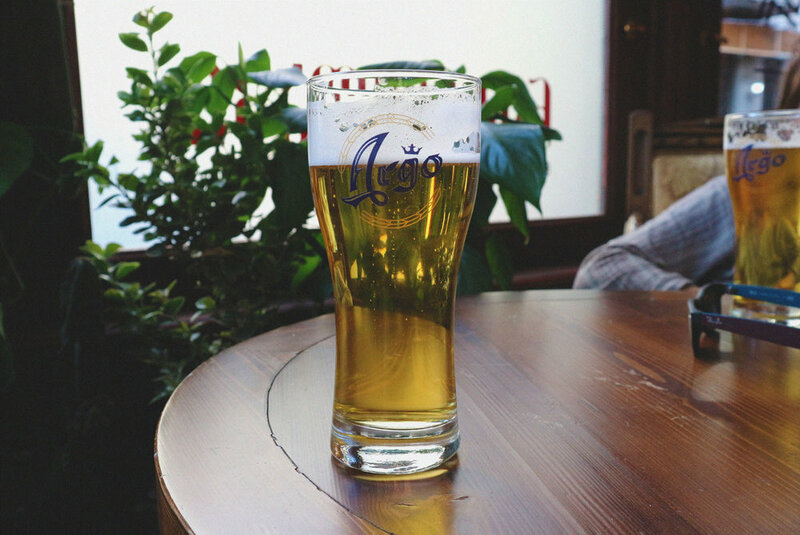 Take a walk up Giorgi Akhvlediani St and you will soon find out where the hipsters hang out. Here you can find all kinds of trendy bar, converted old mans pubs, fancy barbers and of course Tbilisi’s first gay club, Success Bar. The area has got a really nice feel to it, a bit of an east London vibe and so we feel right at home having a pint in one of the pubs (you can take the brit out of England, but they will always end up in a pub!). It feels as though there is a scene developing here, in recent years nightlife has been booming due to the opening of Berlin-style clubs such as Bassiani, Khidi, Mtkvarze and Vitamin Cubes, and this area seems like the perfect place for a warm up drink. A pint of beer in this area costs around 3 gel (90p), about 1 gel (30p) more expensive than the cheapest drinking holes in Tbilisi. If you are into socialising with the locals then this is a much more interesting area to visit than the tourist bars in the centre of town. You can’t come to Tbilisi (or any of Georgia for that matter) without eating the delicious Khachapuri at least once a day, or maybe even twice. It is one of Georgia’s most popular national dishes and it’s easy to see why it’s loved by so many. Nearly every third shop sells the stuff, this naughty naughty tasty delight. For those of you who don’t know, Khachapuri is Georgian cheese bread, a bit like a round pizza with a gooey cheese centre. There are many different types of this bread, some with open tops, different types of cheese, and some even with egg, all originating from different parts of the country. This bread is so important to the Georgian economy that the price of making it has even been used to measure inflation. The ones sold on the street vary in quality, size, warmness, and of course taste but for about 1.5-3 gel (45p-90p) a piece you really can’t complain. If your budget allows, then it’s best to order one in a restaurant or tavern where you get served a plate full of the stuff, the dough is fresh, the cheese is plentiful and all you have to worry about is the crazy cheesy dreams at bedtime. If you are going to eat anything on your trip then let it be Khachapuri. The Open-Air Museum of Ethnography up on the woody hillsides of Tbilisi is a wonderful place to spend the afternoon. This museum displays a unique collection of traditional Georgian folk houses which have been carefully preserved from different regions of the country. The dwellings are scattered across 50 hectares of green-space and visitors are invited to walk freely around the site, exploring the architecture and reconstructed gardens. You can go inside some of the houses and several have been decked out with traditional craftwork such as wooden carved furniture, patterned rugs, cooking utensils and drawings, to give you a taste of old Georgian life. The views over the city are very impressive and the setting is a welcoming escape from the busy car-filled streets below. If you are walking here, then made sure you go through Vake Park (a soviet style monument/gardens) on your way up. Entry is a mere 3 gel (90p), and the museum is open 10am-6pm in summer time, every day except on Mondays. This delightful Georgian restaurant sits on the green hillsides above the Open-Air Museum of Ethnography, offering panoramic views of the city and leafy landscape below. Diners can enjoy a relaxed lunch on woody terraces of the 150 year old building, assisted by helpful and friendly staff members. We were eating on the cheap so only had an imeretian khachapuri (cheese bread) at 8.5 gel (£2.55), and cucumber tomato and walnut salad at 7.9 gel (£2.37) to share, but if you have the budget to splash out then there are all sorts of delicious sounding meat dishes, cheese assortments, vege clay pots and bottles of wine starting at 16 gel (£4.80) each. This is honestly one of the most beautiful places we have dined at in Georgia and if you make the effort to visit then you won’t be disappointed by the views on a sunny day. This is the perfect stop off for lunch if you are visiting the Open-Air Museum of Ethnography nearby. Rachasubani is open 10am-11pm daily. Standing 20 meters tall on top of Sololaki hill is Kartlis Deda, also know as Mother of Georgia. This aluminium monument represents the Georgian national figure watching over Tbilisi, with a bowl of wine in one hand to greet friends, and a sword in the other to protect from foes. The walk up Sololaki hill is a pleasant one, passing the impressive Narikala Fortress on the way and having spectacular views over the city below. If you don’t feel like walking (although it’s really not that far), you can get the cable car up to the Kartlis Deda viewpoint or take a taxi up the road. The Mother of Georgia monument is free to visit and is open at all times of day or night. To get the best picture though, you may want to be at city level! This enormous park is a great place to play some sport, go for a walk in the woodlands, or even just relax by the fountains. This is the biggest park in Tbilisi and is a fine example of Soviet Classism, just check out the grand oversized staircase and fountains that lead up to the People’s Monument. The view from the top of the hill looking the park is very impressive, the fountains and stone platforms make for a wonderfully symmetrical photo, with the river and city in the background. We spent almost an hour there, watching the water fall from the fountains in a bit of a trance, with the odd child running through trying not to get soaking wet. The park is free to enter at all times of day and night, and is a nice escape from bustling city life. Tbilisi’s techno scene is booming right now, and underground basement club Bassiani has already made a name for itself as the Berghain of Georgia. People flock from all over Europe to visit this dance haven, and we have heard tales of the crowd losing themselves to beat-less tunes, kneeling on the dance floor with hands in the air. As with many of Berlin’s megaclubs, Georgia’s Bassiani is notoriously difficult to get into, and clubbers are put to the scrutiny of ‘the eyes’ behind the cctv on the door. There is no pattern to who gets in and who does not, if they think you will add value to the night then you are let in and if not then you will be taking your sorry self elsewhere. Other worthy techno clubs include Mtskheta (we had a fun night there), Khidi and Vitamin Cubes. Entry to Bassiani is between 20-40 gel / £6-12 (you can book in advance online) and drinks are expensive when you're in there, whereas entry was free to Mtskheta when we visited on a Friday night and a beer was 5 gel (£1.50). Things don’t get going until around 2am and the clubs open until about 11am the next morning, so remember to pace yourselves! Amman is a grand capital situated on historical, religious and empirical crossroads, and for the budget traveller there are plenty of tasty Jordanian eateries, art galleries and world-class historical sights so you can keep up with the culture without breaking the bank. It’s the perfect introduction to middle eastern life; the city has a relaxed and local feel to it, the people are friendly, it’s traditional and attracts interesting open-minded travellers. Sometimes these ‘must-visit’ sights aren’t quite what they’re hyped up to be, and overpriced for that matter, but this really isn’t the case for the Roman Amphitheatre in downtown Amman. It’s impressive size and steep accent up the hillside can hold up to 6,000 people at any one time, and despite its crumbling edges, it’s probably the most solid thing you will ever lay your feet on. It was build between 136-181 CE, that’s nearly 2000 years ago, and is in impeccable condition (minus a few well restored sections that are visible on the edges). To sit at the top of this beautifully symmetrical structure is somewhat overwhelming. Just the sheer scale, architectural achievement and view from the top is world class, and for only 2 JD (£2) entry, I can’t think of a better way to spend the price of a coffee. Price also includes entry to the Folklore Museum, and Museum Of Popular Traditions. Entry is free for those with a Jordan Pass. This place has a queue of hungry sweet-toothed diners at pretty much any time of day and it’s clear to see why. Locals and tourists alike fall in love with the traditional Palestinian kunafa served here, it’s an unusual dish of cheese pastry (similar tasting to halloumi or mozzarella) served warm with a crunchy and sweet syrupy semolina topping. Eating this fatty, sweet and calorific pudding is intense and incredible, it’s so more-ish and sickly at the same time. In 8 months of travelling it’s probably one of the most memorable things I have eaten. At Habibah, they make huge trays of the stuff, and it’s all being heated up from underneath to keep the cheese gooey and the topping as crunchy as dried noodles. A small plate costs 0.80 JD (80p) and a large which is double the size costs 1.40 JD (£1.40). You can choose between fine or course kunafa, the fine one is even sweeter. It’s not very often you get to see inside a mosque, unless you are a practicing Muslim that is, so visiting the King Abdullah Mosque is worth a trip when in Amman. This is the only mosque you can visit in the area as a non-Muslim. The enormous blue central dome is a clear highlight, and is decorated inside with a symmetrical gold star-shaped design, which is illuminated by a halo of bulbs. There is some really beautiful marble insets on the surrounding walls in Islamic patterns, and chunky wooden doors with star shaped engravings. Tourists are allowed to visit outside of prayer times, so unfortunately you will be visiting when the space is empty. A whopping 7,000 worshippers can fit into the carpeted space with a further 3,000 outside in the courtyard. Women are provided with a full length black hooded cloak (abayas) to wear, and men are asked to wear full length trousers. Everyone is to remove their shoes before entering. Entry is 2 JD (£2) per person. This open air restaurant in downtown Amman is a favourite with both tourists and locals. It’s sandwiched in between two buildings, in a wide alleyway, and diners are invited to take a seat and wait for the onslaught of Jordanian food. There’s no menu as such, just a feast of vege dishes that get delivered by some very chatty waiters. We were fed flat breads, hummus, falafel, the most deliciously smokey moutabel (similar to aubergine baba-ganoush), salad, french fries and local tea, all fresh, plentiful and tasty. On our first visit we were charged 3 JD (£3) per person, but on our second trip the owner recognised us and charged only 1.5 JD (£1.50) per person. That’s not bad for a half-price price cut! It’s also possible to pick up a falafel wrap for the bargain price of 0.5 JD (50p). For a cheap eat, you will leave very full and happy inside. Get a taste of local life by taking a wonder down the market streets of bukhariyeh in downtown Amman. Whether your interested in flashy electronics, middle eastern herbs & spices, cuddly toys, fresh fruit & veg, or speciality coffee beans, it’s all here for you to explore, at any time of day and night. The locals are really friendly, and not pushy for you to buy their produce. There are several grocery stores that you can stock up on long-life food goods, which is pretty handy considering there aren’t many supermarkets in downtown. This market is the perfect place to people watch, find some traditional foods, and do a bit of cheeky haggling. The location is right next to the Grand Husseini Mosque. On the highest hill in Amman stands the crumbling remains of the Roman Citadel. Built between AD 161-80, what’s left of this ancient structure can be seen from all across the city. Two enormous pillars at the Temple of Hercules are the only standing remains that give you an indication of the scale of this thing, just standing underneath it makes your head go dizzy! The site holds the Umayyad Palace, which is a building of stone remains with a beautifully reconstructed wooden dome roof. It’s definitely worth a look inside to see the intricate construction of the wooden structure, and the ancient carvings on the surrounding stonework walls. One of the most impressive parts of the citadel though is the site in which it sits on. All around you is a 360 degree view of the city of Amman, and the flat roofed boxy buildings that climb up the steep hillsides. There is a viewing platform that you can enjoy or just take a walk around the sight to make the most of the cityscape. Entry is 2 JD (£2) or free with a Jordan Pass. You can’t come to Jordan and not sample a kebab, well maybe if you’re a vegetarian! We found a place tucked away in the alleyway opposite the favourite Hashem, and for 4 JD (£4) per person including an extra side salad with pickles, you can get a taste of authentic Jordanian kebab with a selection of lamb shish, chicken shish, lamb kofte, a salad garnish and flat breads. It’s the perfect portion for a hungry diner. The meat is well cooked and seasoned, and the salad is fresh and crispy. The staff are really friendly here, and you can see them cooking the dishes in outdoor ovens in the alleyway. This is a real taste of local life down here, no tourists in sight, just some old men drinking tea and playing cards in the cafe next door. It’s a shabby alleyway, no thrills and a bit grubby round the edges, but if you like going to the local places then you will be at home here. The restaurant is called Abu Hatem Grills and the restaurant is at the end of the alley before the staircase. This is the perfect place to take some time out of city life and ponder the middle eastern and Islamic art world. The two-part building boasts a large collection of high quality contemporary works in an enjoyable light and airy space over several floors. Only a handful of visitors were there when we visited, which makes a nice change from other busy galleries that you might visit. Even though the works were contemporary in style, I would say that they weren’t particularly provocative and the ones that were more thought provoking were named ‘untitled’. Was this on purpose? We may never know, but it would have been helpful to have some sort of name or description on the pieces at times, otherwise there was a lot to be left to the imagination. Having said that, it’s still worth visiting and you could easily spend a couple of hours there if you were taking your time. There’s a nice cafe up on the top floor if you’re looking for a quiet place to work and can afford to splash out on a coffee. Entry is 5 JD (£5) but well priced for the amount of work that’s there. We hope our recommendations help you if you’re backpacking on a budget. There are also plenty of other cheap things to do around Amman such as free walking tours and visiting other art spaces like the Khalid Shoman Foundation and Darat al Funun galleries. If you have any other suggestions then we would love to hear them in the below comments box! 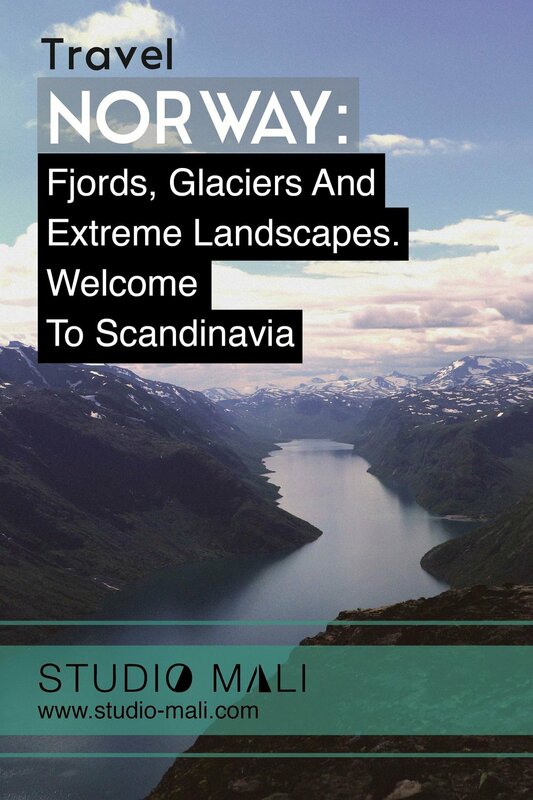 Norway is one of the most expensive countries in the world, making it very difficult to budget for as a traveller. Local buses can be as expensive as £20 for an hours ride, and a few of these a week can completely blow the budget. Eating out in Norway can be extortionate and is not really suitable for anyone travelling on a budget. We would recommend taking a lot of your own food into the country for the best way of saving money, and just topping it up along the way. Because we knew we would be camping, we pre-portioned off porridge for breakfast every morning - a combination of rolled oats, milk powder, cinnamon and sugar. We brought pasta in sauce and flavoured noodles for dinner, and then lots of protein bars, nuts, dried fruit and chocolate for the bits in between. Every now and again we have needed to pick up a few groceries in local convenience stores, but on the whole we haven't spent very much money on food. It is best to book transport in advance as it can be very expensive booking on the day. Norway is extremely well connected, and it is possible to travel to lots of places by train, coach, bus, ferry and bike. Just assess all options online first to find the cheapest route. Bus fares are cheaper for students so if you are lucky enough to have a youthful face then you should be able to request a student ticket on boarding, which could save you a third of the price. A bit sneaky, but worth the saving. Local buses are pay on board, so unfortunately you won't be able to make much of a saving there, unless you opt for a student ticket. In the National Parks, there are lots of connecting buses and ferrys to take you to the start of the trekking routes. If you get yourself a good map and a strong set of legs, then there is no reason why you can't walk from one part to the next without the need for public transport. You could arrange to do a small circuit and wild camp, or if you need a few more amenities then check into a campsite or dorm. Just be aware of the difficulty level of the route you are planning to take as some are unsuitable for large rucksacks especially if the weather is bad. Norway is a country best enjoyed at a leisurely pace to really get into the Norweigian way of life. Rushing around from one place to the next is going to prove to be tiring and expensive. Norway is a huge country, approximately three times the length of the UK, and so planning on going from North to South and East to West all in a couple of weeks really isn't going to be feasible. Just chill out, pick one or two areas of interest, and explore what's going on around them in a local scale. A couple of hours spent wondering through the woods is relaxing and won't cost you anything, or a bike ride through some of the stunning landscapes will leave you feeling exhilarated and energised without breaking the bank. The fewer long distance coach journeys the more money in your pocket, so just think on a smaller scale. The Norwegians aren't the happiest people on the earth because they are rushing around all the time! We hope you find these tips helpful on your adventure to Norway! If you have any more suggestions then we would love to hear them.